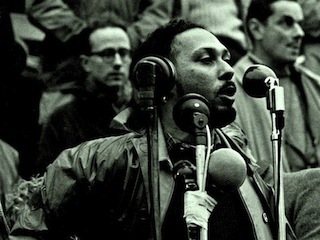 Born in Jamaica Stuart Hall became a beacon of the New Left in Britain, a hugely influential cultural theorist and an incisive critic of Thatcherism and its sequels. He was the first editor of New Left Review in 1960 and became the director of the Birmingham Centre for Cultural Studies in 1964. He was acutely aware of the post-imperial, but sadly not post-racist, character of British society and believed that the British themselves stood to gain much from dispelling the lingering conceits of empire and national virtue which so often licensed aggression abroad and racial privilege at home. Stuart was a brilliant essayist and broadcaster, publishing a number of landmark collections and recently himself becoming the subject of a feature documentary. In the pre-internet epoch his keynote articles on Thatcherism and the ‘Great Moving Right Show’ appeared in Marxism Today and The Guardian but that was just the start as innumerable photo-copies passed from hand to hand. Verso is proud to have published The Hard Road to Renewal*, which gathered together his remarkable articles on Thatcherism and the Left’s need for a quite new start. When demystifying the seductions of consumer capitalism, or the demagogy of Thatcherite rhetoric , he always insisted on asking why millions could be seduced by them. If the Left was to develop serious alternatives it would have to start from a reckoning with its opponents strong points. The Hard Road contained a marvellous essay on Gramsci, reprinted from New Left Review, where he supplied a fascinating account of the subtle ways in which hegemony is constructed. Stuart was the pioneer and prophet of ‘multi-culturalism’ and as such his ideas entered the British political mainstream. Stuart was well-aware of the risks of political intervention and of the vigilance that is required to prevent perversion and cooptation. But he saw the discrediting of racism, incomplete as it was, as a victory. That Margaret Thatcher’s successors, pay homage to Mandela rather than reviling him, as she did, marks a tiny advance, since it reflects a real shift in the collective consciousness). In a favourite phrase Stuart insisted, contrary to any teleology, that political endeavour is always undertaken Without Guarantees. Indeed this motto became the title of another Verso book exploring Hall’s outstanding contribution, edited by Paul Gilroy, Lawrence Grossman and Angela McRobbie. Stuart’s cultural essays allowed each reader to become his or her own demystifier, spotting the codes and tropes of ideology. This was the profoundly democratic impulse in Hall’s thinking. Hall’s work attracted the so-called new social movements without losing focus on capitalism and its perils and discontents - inequality and chaos in the global economy, or reckless consumerism in a fragile planet, or Western arrogance and militarism. His stinging critique of Tony Blair was entitled ‘Son of Margaret’. Just last year he published in Soundings the ‘Kilburn Manifesto’ in which he and his co-authors (Mike Rustin and Doreen Massey) offered a comprehensive demolition of neo-liberal ideology, a trenchant critique of ‘post-New Labour’ and a visionary grasp of the new agenda of a renewed left. Fighting a courageous battle against ill-health in recent years it would have been understandable if Stuart had conserved his energies and basked in his ever-growing acclaim as cultural theorist and icon of multi-culturalism, but instead he bequeaths to us a new horizon and a bracing task. Introduction to the first issue of New Left Review. Reflections on the history and legacy of the New Left. Extended interview with The Guardian where Hall thinks back on his intellectual and political trajectory. Hall’s gripping defense of D.H. Lawrence’s Lady Chatterley’s Lover and the value of literature against charges of obscenity and irrelevance. 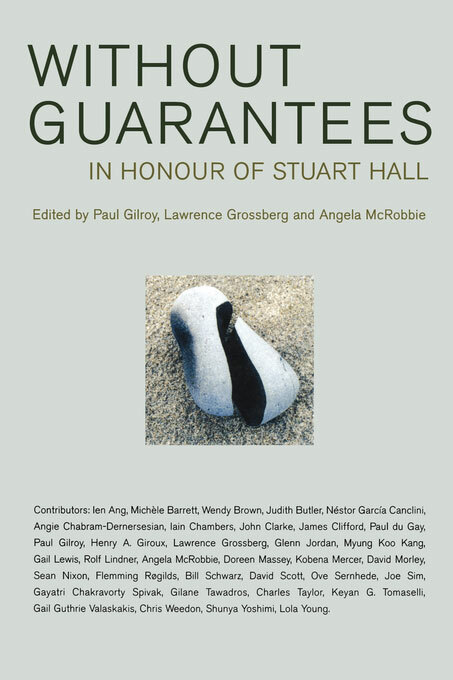 A festschrift on Stuart Hall's work by leading scholars. * Hard Road to Renewal will be available again shortly. by Paul Gilroy, Lawrence Grossberg, et al.